Cottle's Professional Consulting is dedicated to meeting your business and professional development needs! Cottle's Professional Consulting services in organization development, is a comprehensive service designed to assist organizations; including government agencies, community-based organizations, and corporations to meet their objectives. We offer services that will help you to effectively manage your organization's portfolio. If you are thinking of introducing computer technology into your organization, our expertise in the adoption, diffusion, and infusion of computer technology can be of great assistance to you. We also offer our services to organizations that are restructuring their computer technology system to better facilitate their operations. 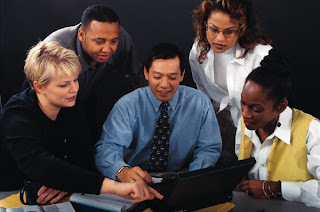 Cottle's Professional Consulting also offers organizations comprehensive training in a number of areas, including; leadership skills development, strategic planning, decision making, managing diversity in the workplace, culture of the organization, train-the-trainer, and project design, to list a few. Training can be customized to meet the needs of your organization. Our training programs in computer technology will also enhance your staffs' skills and proficiency in various software and other office management tools. The strategies that we utilize are supported by our many years of experience and the research conducted by Dr. Cottle in the field of Information Technology and Computer Technology Adoption. Dr. Cottle's research and expertise includes working with organizations within various business sectors and industries; and encompasses organizations in North America and the Caribbean. Cottle's Professional Consulting specialises in Small Business Development, Organizational Development, Education, Teacher Training and Curriculum Design. This blog is dedicated to providing useful information and business resources. We hope that you will find our blog interesting and informative. Read our daily business tips and inspirational quotes. 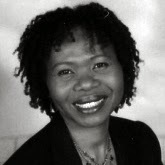 Cottle's Professional Consulting blog site is presently the housing space for Dr. Cottle's consulting business. Here you will find the services that we provide, a biography of who Dr. Cottle is, and links to our associated programs, including our women in Business group and our women in Business mentoring Programme, as well as our Women in Business Global Empowerment Network group. We also provide useful business tips together with some inspirational quotes to make your day interesting and productive. Through these pages we will also be showcasing our Women in Business Journal. © Copyright. All Rights Reserved by Dr. Cheryl Cottle and Cottle's Professional Consulting, 2010. Simple theme. Powered by Blogger.